In September, it's back to school. We, you get a lot of pleasure with new sounds .. it's the HUSTLE PODCAST! Right now you might not know DJ FLASH BELGIUM but very soon you will call him 'YOUR FAVORITE DEEJAY'. Flash is busy working hard and taking over! Young, talented, ambitious and a real hype – these are just a few well-chosen words that describe DJ FLASH perfectly. Always listening to what the crowd wants and needs, he manages to diversify his game whilst keeping his high standard artistic skills. His creativity and originality have also been put to the test by renowned artists such as IAM, 113, KERY JAMES, SEXION D'ASSAULT, STROMAE, MAGIC SYSTEME, TYGA, BOOBA, ROHFF, COOLIO, TIMBALAND, … . The notoriety DJ FLASH acquired got him to hosts several international showcases, after parties and special concepts for various TV personalities such as Massimo Gargia and Jamel Debbouze. DJ Flash’s skills are not confined to the clubbing scene - the studio being his second playground. He has proven this by his multiple successful collaborations with for example STROMAE, KEVIN MENGI and MATT HOUSTON, who featured on DJ FLASH’s album ‘’Mon Imagination’’. Being active on the media landscape – with several residencies on FUN RADIO – and being elected ‘Belgium’s Best New Generations DJ’ every year since 2010, just enhances DJ FLASH’s fame and makes him largely requested! 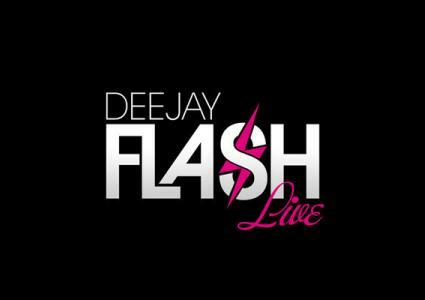 DJ Flash – a deejay, producer, artist, … a show you do not want to miss out on!